My wife and I start selfiying after our son bought a LG smart phone for me. The backdrop of this photo is the splendid Kyoto Tower. 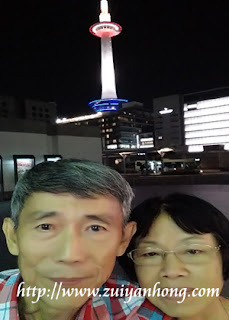 We just returned from Kyoto, Nara, Osaka and Kobe trip. 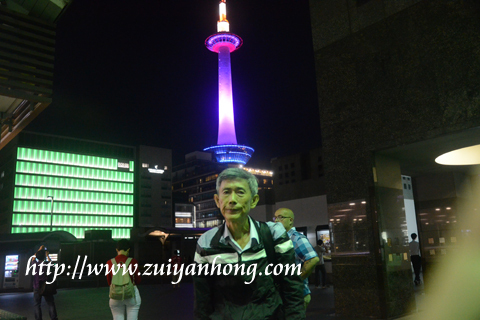 Located near Kyoto Station, the colorful Kyoto Tower is truly breathtaking. 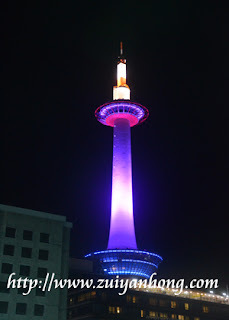 It brightens up the night of Kyoto and undoubtedly is the brilliant landmark of the city.